Avoid being a clammy, crabby, hypothermic mess in this waterproof, breathable and fully seam-sealed Titanium jacket with advanced evaporation, underarm venting and adjustable cuffs, hem and hood. 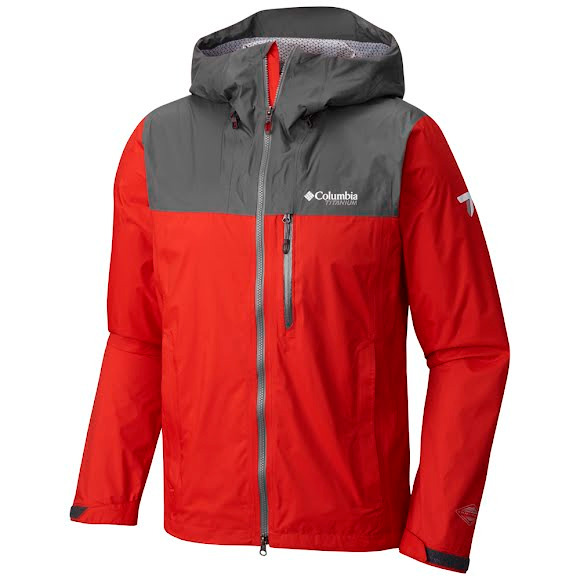 Backpack compatible, this Columbia Men's Evapouration® Premium Jacket also zips into its own pocket. Everyone will ask where you got this awesome jacket with the fancy zippers. Avoid being a clammy, crabby, hypothermic mess in this waterproof, breathable and fully seam-sealed Titanium jacket with advanced evaporation, underarm venting and adjustable cuffs, hem and hood. Backpack compatible, this Columbia Men&apos;s Evapouration® Premium Jacket also zips into its own pocket. Everyone will ask where you got this awesome jacket with the fancy zippers. Tell them you got in online!